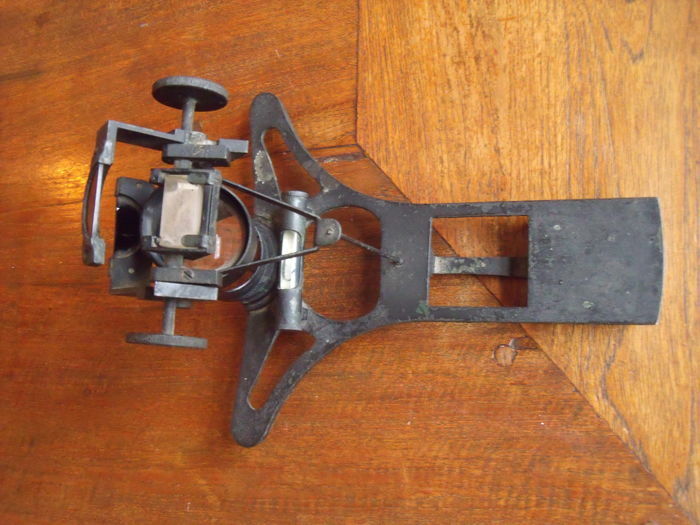 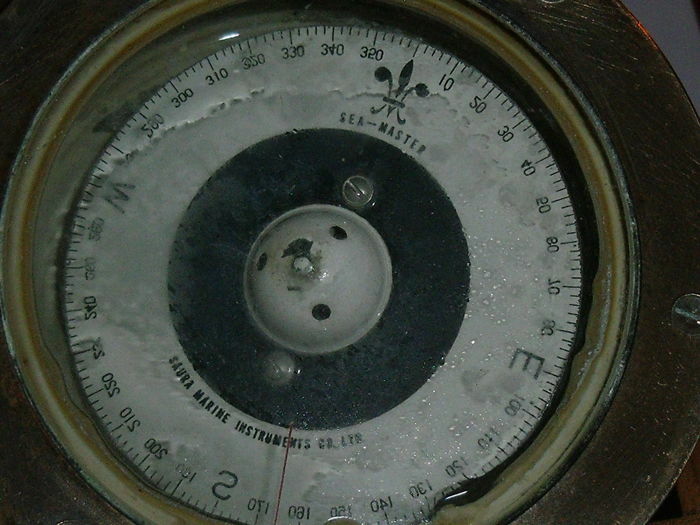 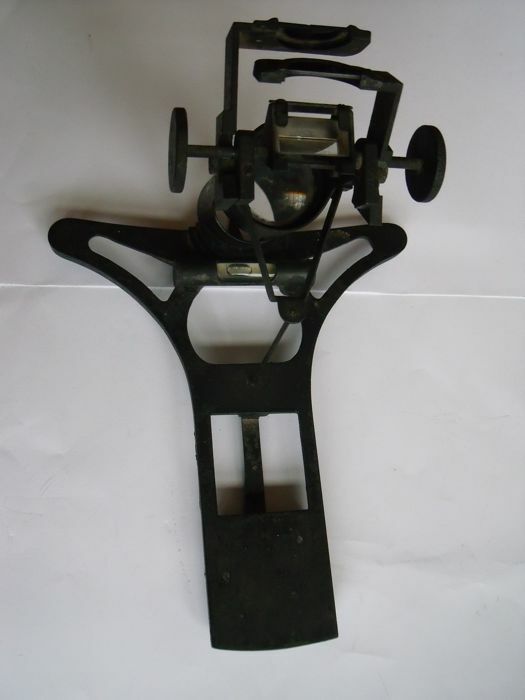 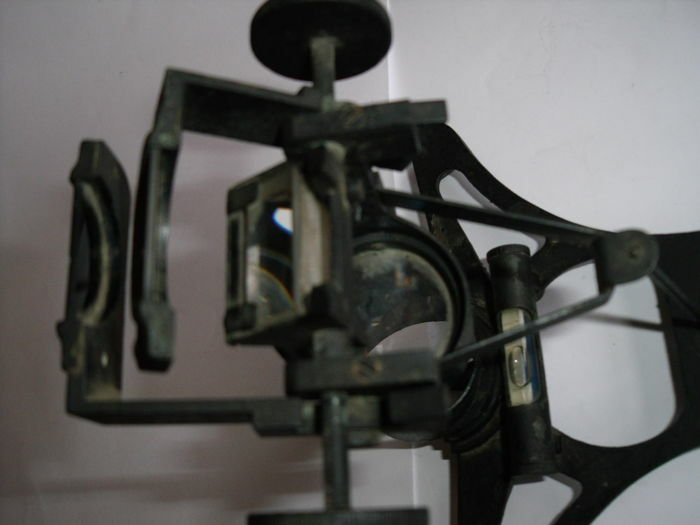 Level device for the compass to determine coordinates. 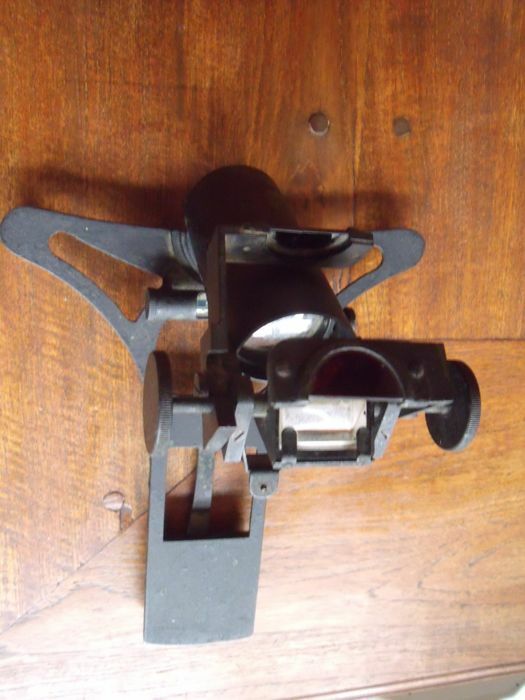 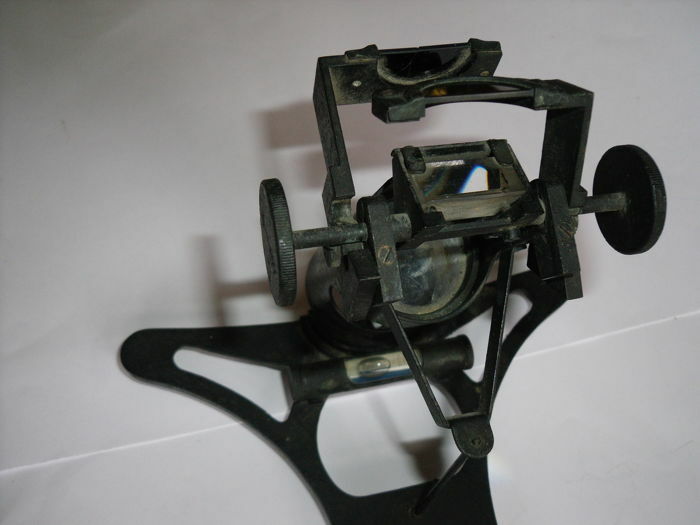 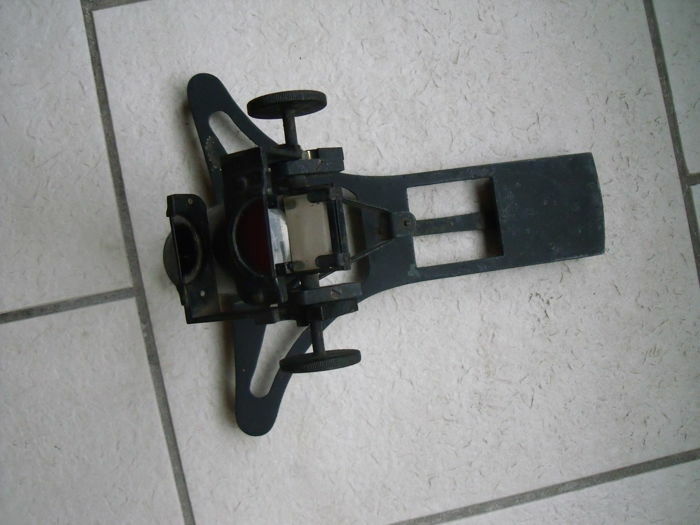 With Magnifier, Viewer, 2 colored glass, sight glass-bubble level. 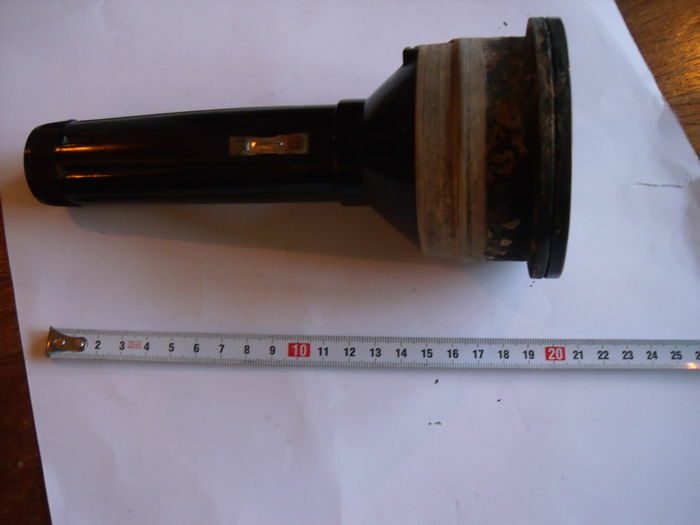 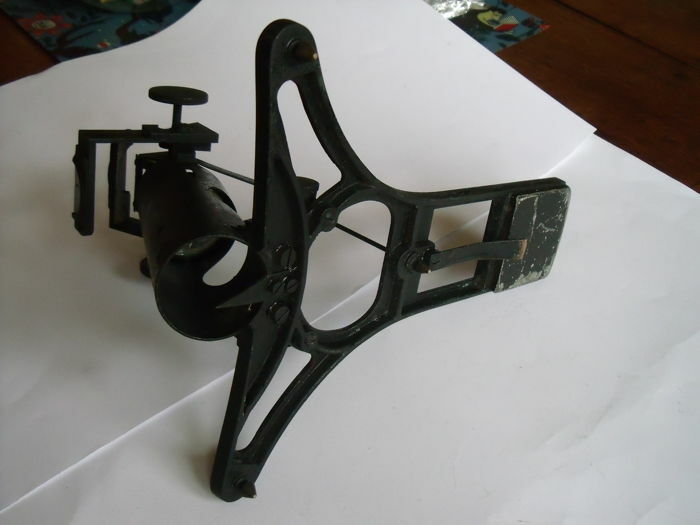 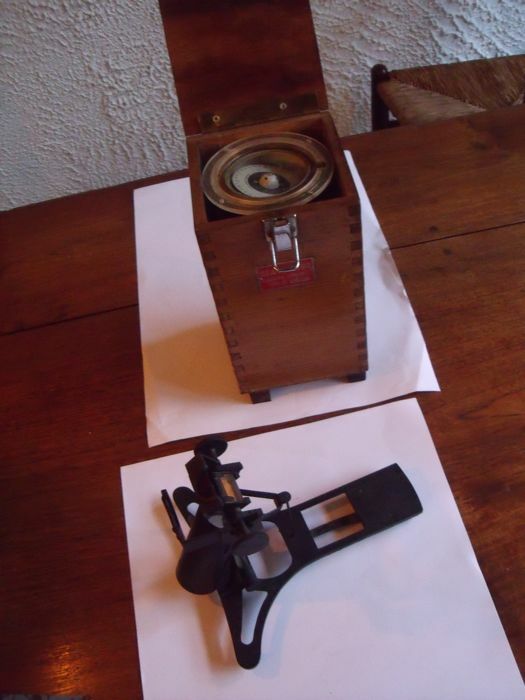 Adjustable parts, comparable instrument at Scheepvaart Museum, Maassluis, Azimuth is complete. 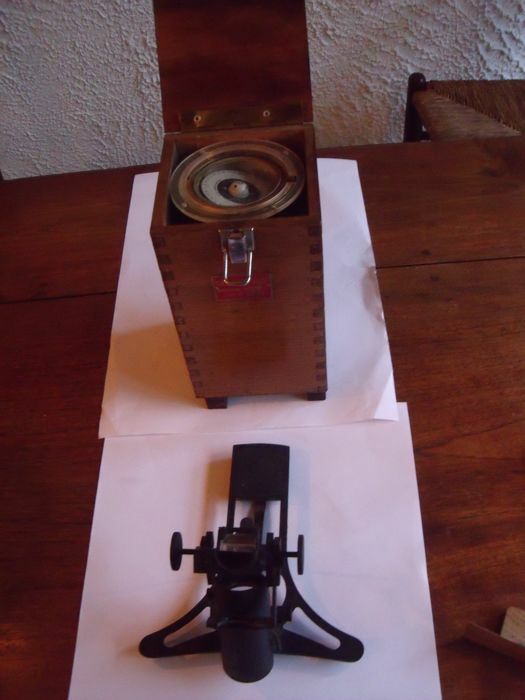 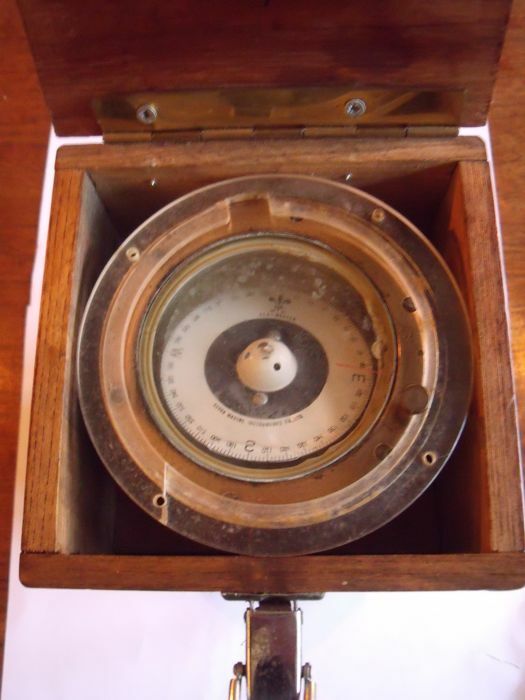 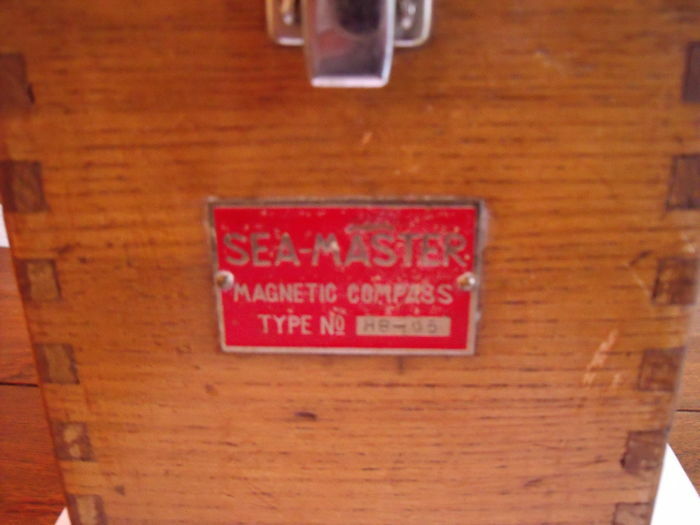 Seamaster magnetic hand compass SAURA Martine instruments Ltd.. in original wooden box. 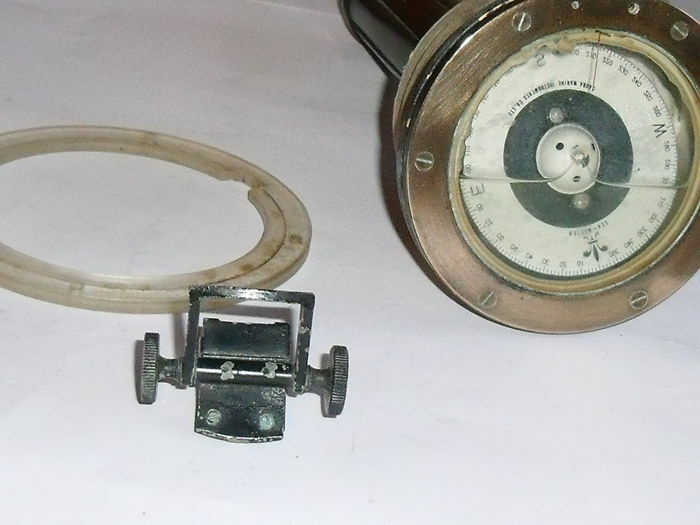 with separate glass. 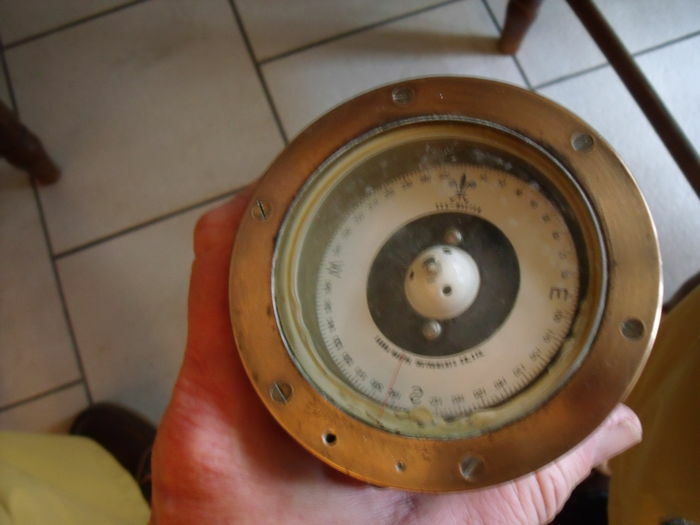 Compass is working but needs to be refilled.